From 1949 – 1956 they were successful with its concept of a “cheaper” jukebox. The so called “Barco-Box” found its way into locations, which could not afford the expensive US jukeboxes. A. A. Wilms, manager of the European Amusement Company, became associated in coin machines in 1951, when import regulations in Belgium against US Dollars payments were removed. Company for im- and export founded in 1952. Export: In 1960 a contract was signed with Hamburg firm H. von Wichmann KG Elektrogeräte. Wichmann planned to create a subsidiary, the ELTEC EXPORT to handle export sales and parts supply. (Source: Billboard June 13, 1960). In 1963 Eltec planned to establish an assembly operation in GB, where a subsidiary, Eltec Limited, had been established. It was intended to ship the mechanisms from West Berlin for assembly in cabinets produced in GB. Eltec called their models F100 and G100 the German "Volkswagen" phonographs. (Source: Billboard June 19, 1960). NDR NSM Nova Nordwestdt. Autom. Vertriebs GmbH Nowak App. Morebrook Ltd. (Ian Blakeway, manager and engineer), Field Lane, Batley, West Yorkshire, UK. Founded 1976, Automat Spiel became Wurlitzer's exclusive dealer in Italy. They distributed mainly Wurlitzer jukeboxes, but also other automats. It seems that already before this date Wurlitzer mechanisms had been overhauled and installed into new resp. other cabinets. This is how the older models 2304 and Lyric M might have been born. Probably some parts were modified by Automat Spiel itself, like title holders for example. Europhon Express Game FIMI S.p.A. In fall 1962 Wurlitzer and Notomat agreed in producing models ins Italy under license (Billboard 17.11.1962), though several reports tell about producing under license already in 1960 and 1961. (1970) Silvervox was located in Novara, Italy. The production was stopped at the beginning of the '70, when they decided to start a production of elevetors engines. All production juke-boxes left over, were sent to Africa. The mechanisms had been produced under license of Wurlitzer. Jos van Osch did run a café in Kerkriel from 1950 - 1956. There he met wirh Jan Rouvoet a distributor for coin opetarted machines. This was when Jos decided to switch to operating nut verndors and finally also other vending machines and jukeboxes. He operated e.g. 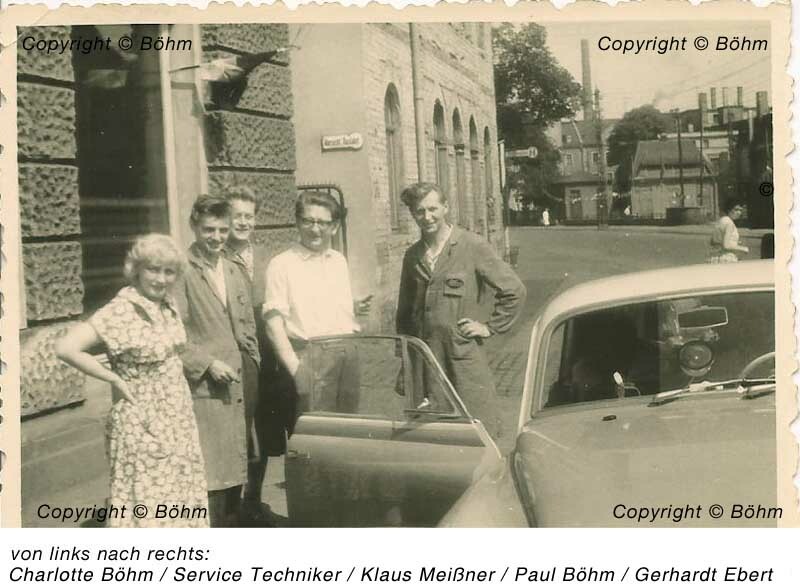 Treff Arietta, Seeburg KD, NSM Fanfare 60 before he developped and invented his first OSCA wallmount jukebox in 1959. Regarding a Billboard article from 1963 he introduced a new OCSA in the same year and planned to export them. Two years later he wanted to built another one with more selections and imrovements but only three prototypes were built. (2015) Until 2012 cooperation with Deutsche Wurlitzer, Germany. Since 2014 cooperation with Rock-Ola, owned by Glenn Streeter. TAB Austria was founded by Siegfried Dattl as "Automaten Dattl" in Traun, Austria in 1962. They established as a distributor for jukeboxes, arcade games, pinballs etc. The first jukebox was imported in 1964. TAB Austria is still worldwide in business. They develop and produce by themselves to fulfill their customer needs. More details. Petaco was incorporated in 1958. Petaco stands for Proyectos Electromecánicos de Tanteo y Color, Trade Name: Petaco, S.A.
Rennotte had already been trading in Belgium for some years. 9/1962: Rennotte wants to produce in Spain, too. In the beginning the mechs are being produced in Belgium and the cabinets in Spain. License partner: Petaco S.A., Spain. The license with the Spanish government was granted in 1962, permitted in Feb. 1963. Petaco introduced their first Spanish pinball in 1963 and the first jukebox followed soon. 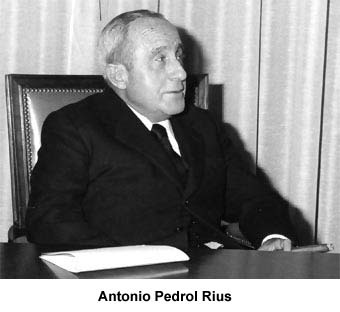 Chairman of the board: Don Luis Zoreda Arribas | CEO: Don Adolfo Morilla Suarz | Secretary: Don Julio Marroquí Bartolomé. 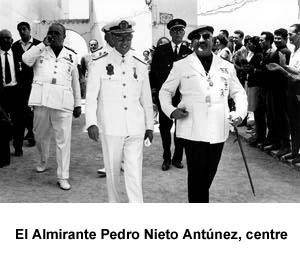 (1972) The other partners were: Don Juan Pedro Vanden Bergh, Don Celestino Zoreda Arribas, Doña Olimpia Rigabert Mompeo, and Don Juan Paredes Hernandez. Die Angaben haben keinen Anspruch auf Vollständigkeit oder Richtigkeit. Bei den (importierten) Boxen können im Laufe der Jahre durchaus Veränderungen vorgenommen worden sein. Copyright.